Instagram is the mecca of fast, effortless social media consumption. See a picture, like it, move to the next all with the flick of the thumb. Instagram’s simple picture sharing and color altering filters are truly endearing, yet like all widely used and successful social media tools it’s capabilities extend further than that. Instagram offers a way for its users, whether they be writers, airlines, designers or professional sports teams, to interact with their viewers frequently and effectively at no cost. As the world of citizen science grows and the power of science communication becomes more apparent, how can we in the science community take advantage of social media tools to share research with the general public? Here are three points on how Instagram can improve your work and why you should start using it today. 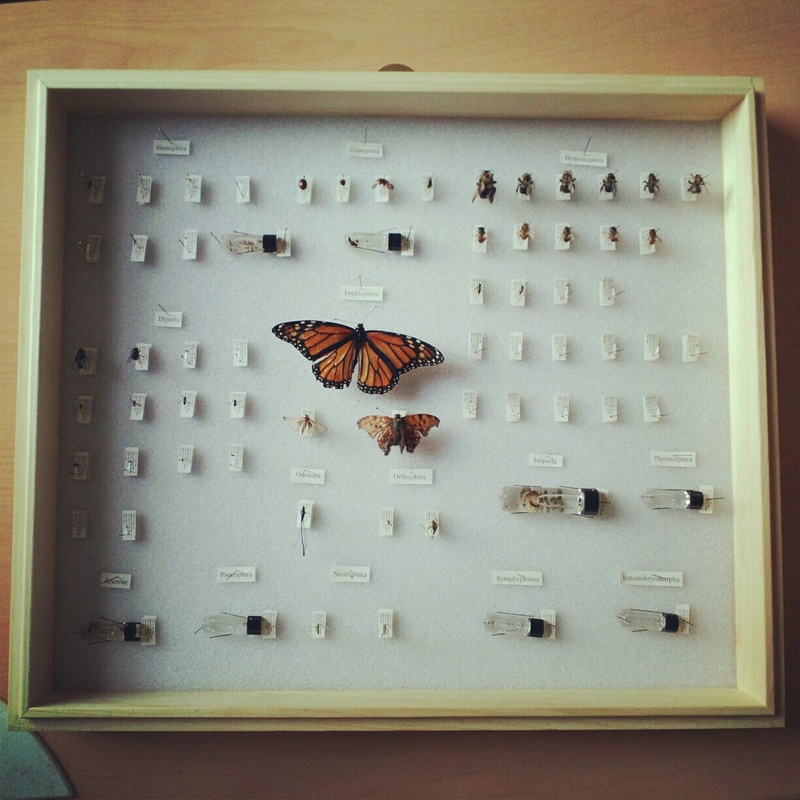 A set of Jeremy Law’s pinned specimens, in ‘Rise’ filter. All research projects have costs – whether it be plane tickets, a fancy new soil corer or an over zealous undergraduate field assistant, securing funds for these expenses is a necessary step in moving a project forward. For most graduate students, funding (or rather significant funding) can be particularly hard to come by. Instagram offers a quick and easy way to promote your project and more importantly, connect with your audience throughout the entire research process. Raise interest by posting photos of your study organism or field locations, photos which can then be connected to popular and science friendly crowd funding sites like RocketHub and Petridish. During your field research, you can continue to connect with donors and reach out to potential donors by regularly posting photos of your work. Elsa Ordway, an E3B masters student, funded her field work in Rwanda this last summer by creating an Indiegogo project. Regularly uploading pictures of you preforming research in the field can be a rewarding perk for donors and can continue to build interest as well as funding for your research even after you have left the lab. Chelsea Recreation Center green roof – 25th st & 10th ave Manhattan. As a graduate student, all publicity is good publicity … except for maybe the arsenic kind. Actively building interest in your research can be an important aspect of a project design, your personal career and/or the goals of the lab and institution with which you work. For citizen science projects in particular, gaining interest is crucial to recruiting and developing a solid base of participants. As we struggle to maintain long-term engagement in citizen science, Instagram offers a way to share results with participants and more importantly, allows participants to share their photos with the researchers and with one another. Community building is essential to improving citizen science work. If participants are able to share their involvement, we can effectively increase investment in the project. For those not involved in citizen science, Instagram can still help you connect with your audience and build interest in your work. Joshua Drew, the director of the MA program at Columbia, has actively used twitter to promote his field work on coral reef fishes in Fiji. He and his collaborators were able connect with donors while in the field, gaining funds for individual dives and sharing daily results with the public. 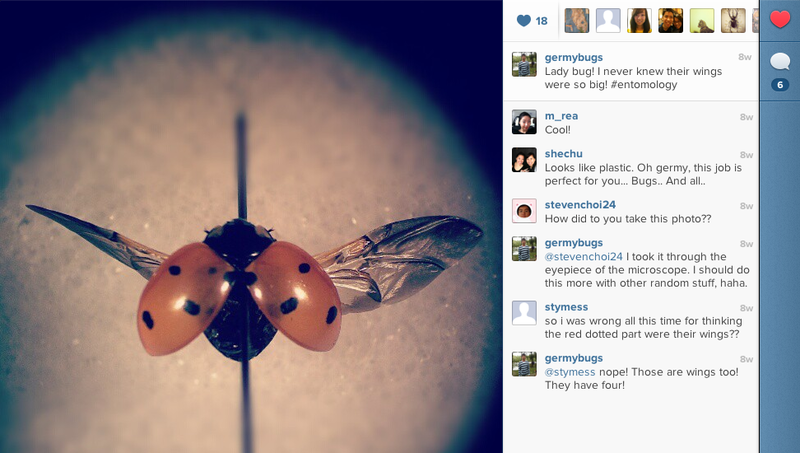 Instagram allows for picture sharing that can update and inform viewers of important conservation issues. This type of direct interaction, whether for education or funding, allows your followers to immediately see the impacts of their support and builds their investment in the research for the long run. Despite my first two points focusing on fortune and fame, there are enormous benefits for the general public when you promote your research through social media tools like Instagram. Before I elaborate on this point, I want to note on a problem issue with science communication as it stands today – one that I’m reminded of when I interact with NYC public school students and 20-something friends. Science ‘communication’ often occurs as scientists, science writers and science enthusiast communicating with one another and only with one another. A lot of the time we’re just speaking to ourselves – confirming our shared opinions and praising each others outreach abilities. I believe we are are not truly reaching the general public, at least not as well as we could be. For students, increasing science literacy means communicating science effectively in the classroom, on a daily basis. Informing the public on issues like pollution, overfishing and global climate change means making science and our exposure to it a daily activity. The majority of the U.S population I would argue, certainly most of my friends, family, and former students, wouldn’t just pick up a Discover Magazine or click through a few Scientists At Work blog posts. Instagram offers a way for us to increase the daily exposure factor, to communicate critical conservation and environmental issues frequently and effectively. Informing is easy, changing attitudes is the challenge. It’s a process that needs long term investment, one that allows ‘science’ to become an integral part of our daily decision making process. I believe we need to both rethink and add to the ways we can help engage people in science. 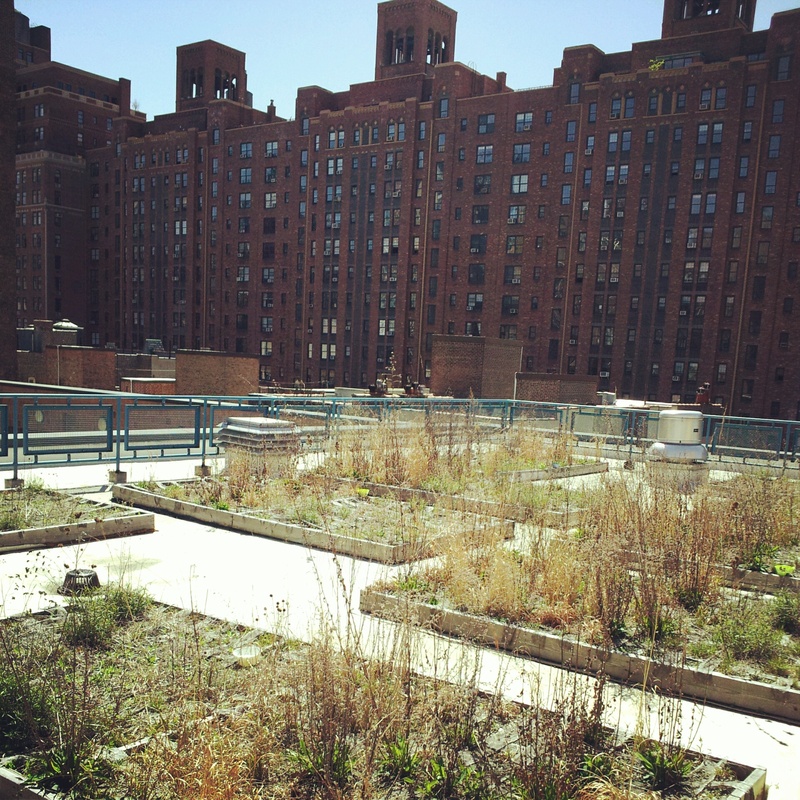 Jeremy Law, an E3B masters student, recently completed his field research here in New York City – looking at bee, wasp, and surphid fly diversity on green roofs and urban meadows. While sampling this summer he took photos on roofs and from meadows and now while in the lab he also shares photos of his specimens and pinning procedures. These photos were and continue to be viewed, liked, and commented on by his followers. Although it may seem insignificant, I believe these are the types of daily, frequent exposure, and easily accessible outreach activities that truly drive science communication. A photo can bring viewers into the scientific inquiry process, exposing them to conservation issues and improving their understanding of their own world. Who knew there was a green roof in the heart of Chelsea and more so, that it was supporting biodiversity essential to the resilience our city? These are the sorts of thoughts and realizations that need to take place. Instagram, along with other social media tools, provides the public an opportunity to engage with science in a unique and unprecedented way. Incorporating these tools into your research can help us as scientists push the door a bit further, or at least push it in a different manner, in order to make the ‘world of science’ more accessible to all. Comments & likes from followers of Law’s research.